President Donald Trump began his presidency with a series of executive orders and memorandums taking aim at the Affordable Care Act (ACA), trade deals and federal workers, among others. The White House has indicated that many more executive orders are expected in the weeks ahead—including ones involving immigration and national security. Over the past several decades, the issuing of executive orders has become the standard opening act of a presidency; by bypassing the typically slow-moving checks and balances of congressional approval, an incoming chief executive can affect policy and appear decisive by issuing executive orders and memorandums. 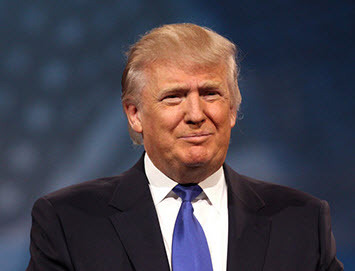 In one of his first actions as president, Trump issued a multi-paragraph directive to the Department of Health and Human Services and other federal agencies involved in managing the nation’s healthcare system. The order states that agencies must “waive, defer, grant exemptions from, or delay” any portions of the ACA that creates financial burden on states, individuals or healthcare providers. Although the order technically does not authorize any powers the executive agencies do not already have, it is viewed by many, as a clear signal that the Trump administration will be rolling back Obama-era healthcare regulations wherever possible. On Jan. 23, Trump issued a directive to federal agencies to halt any new government hiring—except for the military. The directive is part of Trump’s effort to reduce government debts and decrease the size of the federal workforce. Additionally, he reinstated a ban on providing federal money to international groups that perform abortions or provide information on the option. The proposed Trans-Pacific Partnership (TPP) is a 12-nation trade deal that was the cornerstone of former President Barack Obama’s attempt to deepen U.S. ties in Asia. Trump’s memorandum pulling the U.S. out of the deal was basically a formality since the agreement had yet to receive congressional approval and faced significant opposition in the House and Senate. According to Trump spokesman Sean Spicer, the new president wants to negotiate bilateral trade deals with U.S. allies rather than joining in big multilateral pacts. Trump has blamed past trade deals such as the North American Free Trade Agreement (NAFTA) and China’s entrance into the World Trade Organization for a decline in U.S. factory jobs. On Jan. 24, Trump signed two orders reviving the Keystone XL pipeline and Dakota Access pipelines. He also signed three other related orders that would: expedite the environmental permitting process for infrastructure projects related to the pipelines; direct the Commerce Department to streamline the manufacturing permitting process; and give the Commerce Department 180 days to maximize the use of U.S. steel in the pipeline. In the three most recent administrations, presidents have each signed an average of 14 executive orders during their first 100 days in office—thus, we can expect more in the days and weeks ahead from Trump.